John Riach, Wick, May 1874. John Reiach (variant spelling used in all official documents) was born in Wick on 5th June 1856, the first child of James Reiach, draper (1826–1899) and his wife Margaret Telfer Corner (1835–1866). 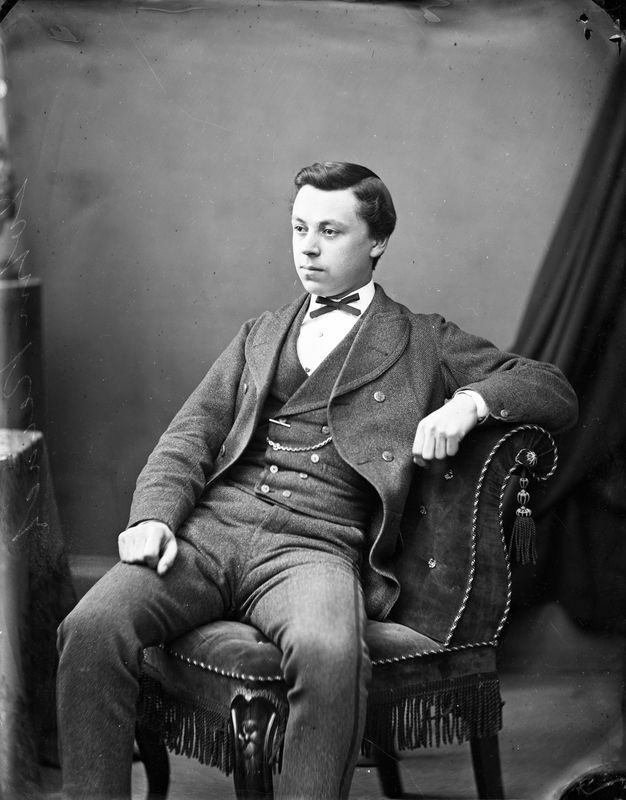 By 1871, at the age of 14, John was already working as a Banker's clerk. This photograph shows him a month short of his 18th birthday. I have identified four more photographs of John in the Johnston collection. They are: JN16847P132 (1876, family group); JN11103P087 (undated); JN44166P225 (1877, with three other young men); JN05125P041 (1878). John married twice: his first wife was Mary Watson of Fraserburgh, with whom he had at least one son; his second wife was Christina Cormack from Hillhead, Aberdeen. John died in Aberdeen in 1939.